The 17th century seen the movement of the Bani-Khalid an Arabic tribe from Al-Hasa region to the north of the Gulf seeking a dry weather, they settled and built a small fort, which became the name of the new land they settled. (Fort in Arabic is Kut, and the diminutive of it is Kuwait, so Kuwait means a small fort).In mid 17th century a drought happened in Najd plateau which drove clans of the Arabic tribe Anezeh out east towards Qatar, those clans dubbed collectively as the Utub where they picked up skill as seafarers. 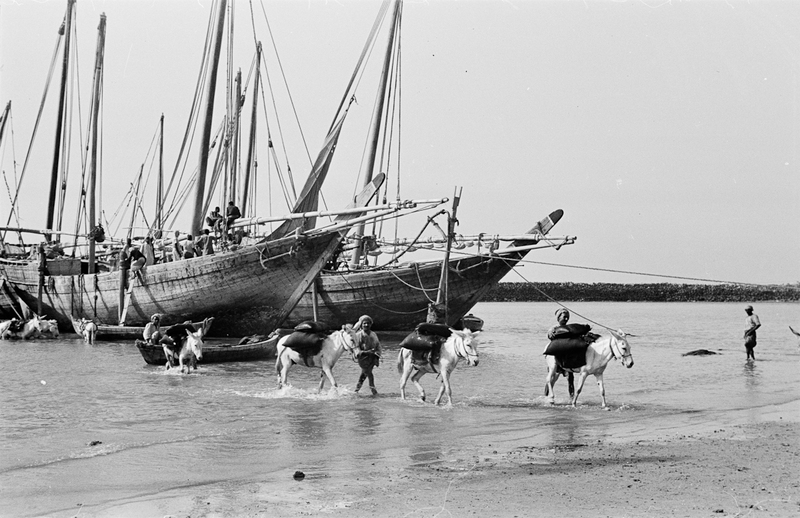 And slowly the Utub moved north into Kuwait, and settled using the sea as there source of income from trade fishing and also pearl fishing. Amongst the Utub were 3 families Al-Sabah, Al-Jalahma and Al-Khalifa, the first dominated and eventually ruled Kuwait to date, Al-Jalahma went to Khorfacan today's UAE and Al-Khalifa went to Bahrain and ruled up to date. By 1760 Kuwait was a walled city and had established its autonomy by Al-Sabah family against the waning Bani-Khalid whom had their hands full battling the Wahabis who are the followers of Mohammad Bin Abdul-Wahab that came up with new religious ideas making almost everybody not following him an infidel that must be killed, they allied with the newly risen family of Al-Saud also a clan of Anezeh. 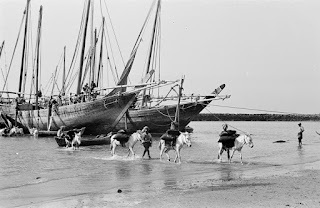 By the beginning of the 19th century Kuwait was enlarged due to the successful trading routes and the old wall was removed to accommodate the expansion of Kuwait which now has shops of gunsmiths, weavers, brass makers and so on necessities of the new status. This expansion started drawing more and more skilled people from neighboring places and the trade was growing and slowly it became prosperous due to the important port. All this was going on under the watchful eyes of the Ottomans ruling nearby Basrah. 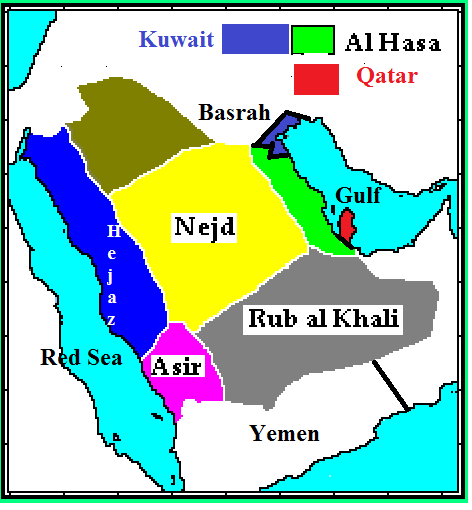 Who were trying to convince their allies the Bani – Khalid to use their power to over muscle the Al- Sabah. Especially with the Ottomans defeating the Wahabis in Al-Hasa, the ruler of Kuwait at the time was Sheikh Mubarak Al-Sabah (1896-1915)also called Mubarak the great, realized what is going on and moved swiftly into talks with Britain which in turn could not miss such a golden opportunity knowing that the Ottomans were a German ally. The idea of building a rail road from Berlin to the Gulf could not be accepted by the British. 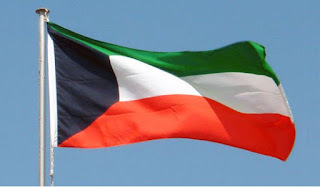 So in January 23rd 1899 Kuwait signed a treaty with Britain making it a British protectorate which drove the Ottomans away and vanquished their dreams. Stanley Mylrea the main architect of the Arabian mission in Kuwait wrote about Sheikh Mubarak saying "a man of long vision and great ability, under him was good government, order and tranquility were the order of the day and of the night. Mubarak's influence extended far out into the desert. He was a real tribal Sheikh and my memory still lingers over Mubarak with great admiration"
Kuwait continued to expand with success until 1936 when oil was found with vast quantities, and with the help of the British the first shipment of oil was in 1946, and the Kuwaiti –British continues till today even that Kuwait took its independence in 1961 and published its constitution in 1962.